If I Sign a Severance, Can I Still Sue for Wrongful Termination? Home » The Law & You » My Company Wants Me to Sign a Severance. Can I Still Sue for Wrongful Termination? My Company Wants Me to Sign a Severance. Can I Still Sue for Wrongful Termination? A viewer says her company is letting her go and wants her to sign a severance agreement. But if she signs it, does that mean she can’t sue for wrongful termination? 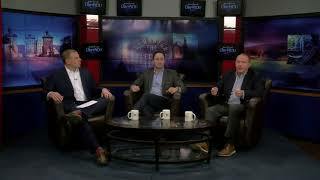 Pennsylvania attorneys Greg Fellerman and Ed Ciarimboli offer legal advice. Dave Kuharchik: It is time once again for “The Law & You.” And today we’re talking about a termination issue for an employee. Joining us as always is attorneys Greg Fellerman and Ed Ciarimboli. Apparently, they’re still gainfully employed here on “The Law and You.” Thanks, guys. Ed Ciarimboli: I was waiting to see how you were going to roll into that one. Dave: Had to slide it in there smoothly for you. Dave: All right, we’ll keep the good times rolling. Hopefully get some answers for Nancy in Pringle because she’s having some issues here. She says, “My company is going to let me go and wants to give me a severance. Do I release the right to bring a wrongful termination if I accept it?” Pretty good question. What can Nancy say? Ed: Actually a very good question. So, Nancy, I actually just looked at a severance agreement for a friend of mine the other day. And there was language in the severance agreement where she signed a release, releasing her right to sue the company for any wrongful termination or any type of discrimination in exchange for that severance package. So you really have to look at the fine print in the language, in the contract they’re giving you in exchange for that severance because you may be giving up some rights to sue even though you have grounds to do so. Greg Fellerman: Yeah, I think that any time an employer is giving you a document on an exit like a severance type stuff you should really have it reviewed by an attorney because Pennsylvania is an at-will state, they can release you, you can resign. But, when they are doing the severance, it sounds like there is going to be a promise not to sue, and the consideration that’s being given is the severance so take a look at it. Read them, but be careful. Any time you enter into an employment agreement, you should have it reviewed by an attorney because there are non-competes, there’s all kinds of stuff the employers put in the contract to protect their business. Which is fine but you got to know what you’re signing. Ed: Yeah, really good question. Thank you for sending that in. Dave: Good advice. And if you have a unique legal situation you want looked at, you can send it to the guys. Give them a call, check them out online and don’t forget results matter. Attorneys Greg Fellerman and Ed Ciarimboli, thanks, guys.